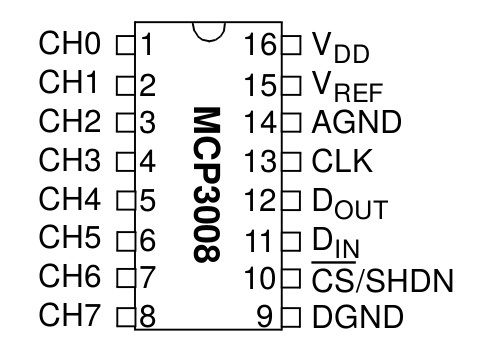 MCP3008 is an 8-channel, 10-bit analog to digital converter from Microchip. It can be used as 8 single ended analog inputs or 4 differential input pairs. Power supply is 2.7 V to 5 V and its operating temperature is -40 °C to +85 °C. 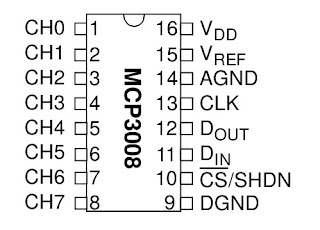 It has an SPI interface which can be operated in mode 0 or mode 3.